Time is money! No matter how many times we say it, it’s always relevant. We live in a fast-paced world filled with technology and tools which make our life and work easier. We all strive for achieving the highest and best results at work. And one of the best ways to do that is to use time tracking software. What can you gain with time tracking? First of all, a full control over all your activities. 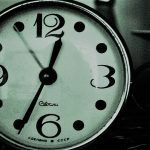 Accurate measurements of how much time you spend on specific tasks, and above all, you can save much time and learn to prioritize and organize your work. If you are looking for an app which would help you to cope with mushrooming tasks, TimeCamp will save your life and time. Beside being an advanced time-tracking tool, it has numerous handy functions at its disposal, from reporting, billing to invoicing. The best are, however, time diaries. They are most wanted when the need to document the work arises. No manager should be disappointed with Timecamp, neither of small, medium or large businesses. The app will meet every expectation. Problems with the inefficiency of time tracking apps? The inaccuracy of client bills, or reports? Do you find it difficult to tackle and solve business problems? TimeCamp is just for you! Comes with a wide range of platforms. The tool is available for Desktop (Windows, Mac, and Linux, and has native mobile apps available for iOS and Android to help users track their time regardless of location. Automatically records time usage of each application running on your computer with the handy desktop app. It’s a great time and billing software. Measures the working time by particular categories. Records the time spent away from a computer – detects the idle time. The tool allows you to turn time entries into invoices basing on estimated hourly rates. However, TimeCamp is free only for one user. So if you want to try it for yourself to later implement it on your team, make sure to check it out. 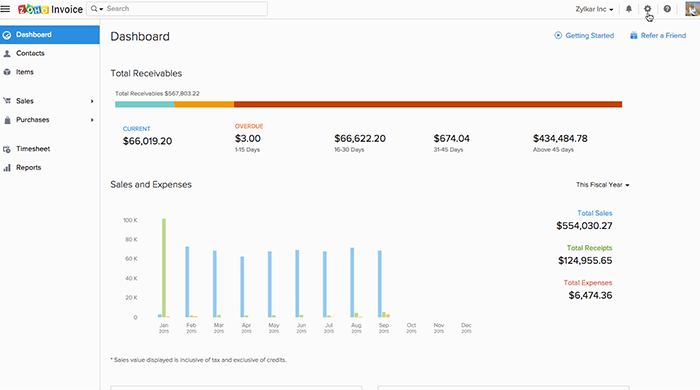 Zoho Invoice is mainly for people who like to have their budgeting and time under control. It is a great tool if you’re looking for an invoicing solution. The freemium version of the software is available for one customer, and you can create invoices up to 5 people. It is the right tool for beginners and freelancers looking for a simple solution. Zoho Invoice is an easy-to-use tool with friendly interface. Also, it is not too complicated. 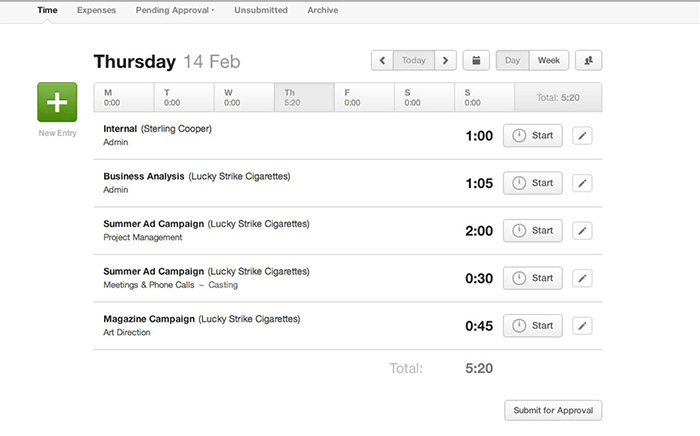 The software creates invoices based on your time tracked on certain tasks. You can customize the invoices, add your clients’ information, and even add your logo. Zoho provides you with reports, payments received, sales tax liability, projects, timesheets and activity logs. However, you cannot connect the tool with your credit card or bank account as well as integrate with many tools. 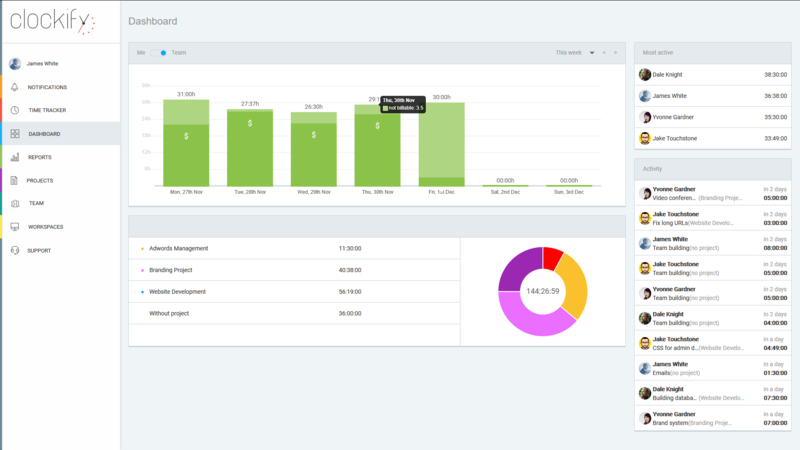 Still, due to its simplicity and good invoicing features, we consider it as one of the best free time tracking software. Wrike helps to manage processes in an organization across different sectors. It allows to collaborate with teams and see everyone’s changes in real-time – the tool allows to upload and edit documents without saving attachments to your computer. You can combine different tasks and projects. With Wrike, you can manage all the resources, allocate time to particular people so that they know who is doing what and how long. You can synchronize the tool with calendars and e-mail to control all your tasks. Wrike offers integrations and enhances work in such a way as to make it more flexible. 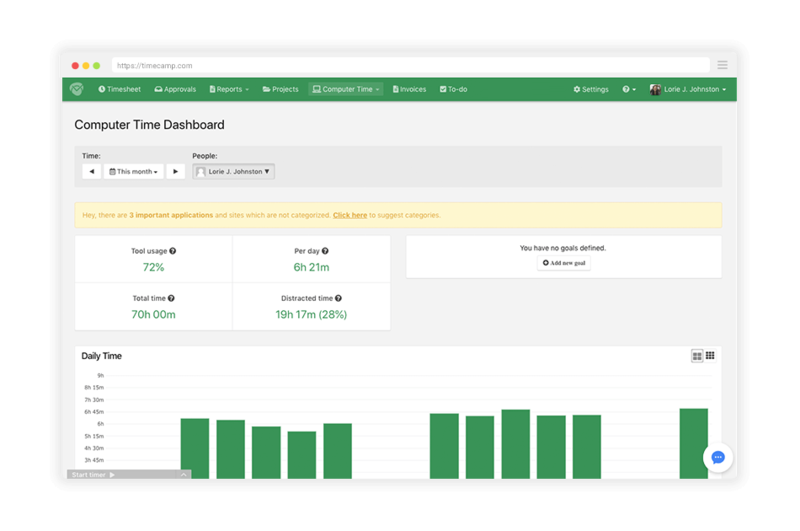 Clockify is a free time tracking tool with the features of tracking time, reporting, and project management. As one of only few free time tracking software, Cockify enables you to add as many users as you want. With this tool, you can see exactly how many hours you spend on work, what takes most of your time and, in general, where all the time goes. The tool tracks time, creates reports, and helps you to manage all the task. 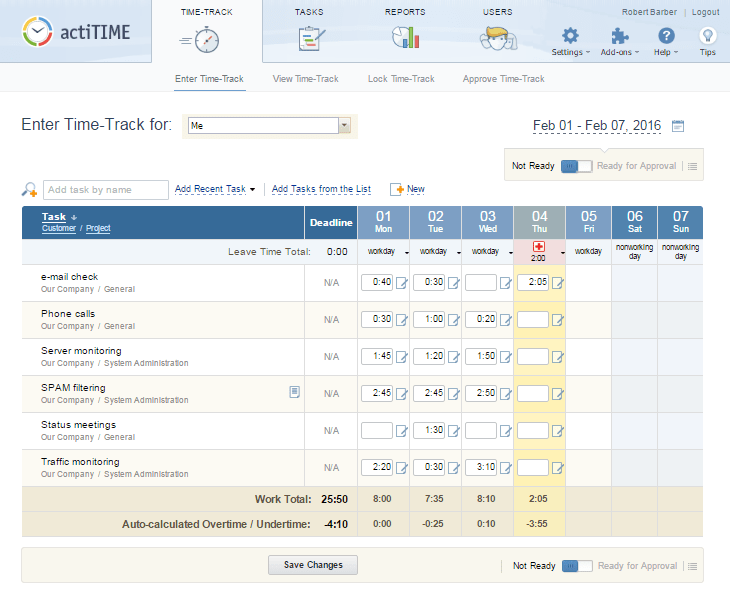 It is very similar to TimeCamp regarding a time tracker but lacks more extensive features. Due to its simplicity and focus only on time tracking, it is the best solution for businesses, freelancers, or startups looking for a comprehensive yet detailed time tracking tool. TSheets works great for leaders who have to work with a team. No matter the size or type – a stationary or a remote worker. TSheets has an option of showing the location of an employee whenever he changes his location. Moreover, TSheets tracks time automatically and accurately and synchronizes it with the cloud to create reports despite your absence. TSheets has features similar to TimeCamp and also works great with Quickbooks to make your accounting, billing, and invoicing easier. Harvest is another top-rated free time tracking software. It may also be used as a project management tool but its features may seem a little stripped down. Nevertheless, it is a good tool for people who like to combine time and expenses tracking with keeping your team on a target and projects on time. The tool makes tracking time easy and allows to do it based on to-do lists, tasks, or single hours, whatever is more comfortable to you. 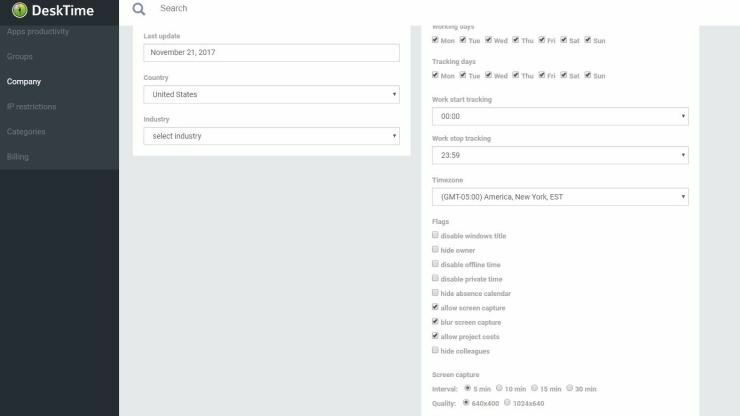 Also, Harvest enables you to turn billable hours into invoices and avoid the pain of going through all the data and creating invoices manually. And then, with the use of this software, based on the past projects, you can predict the future time of work. This tool works best for managers with large teams who have to monitor their employees’ attendance, work hours, and work progress. 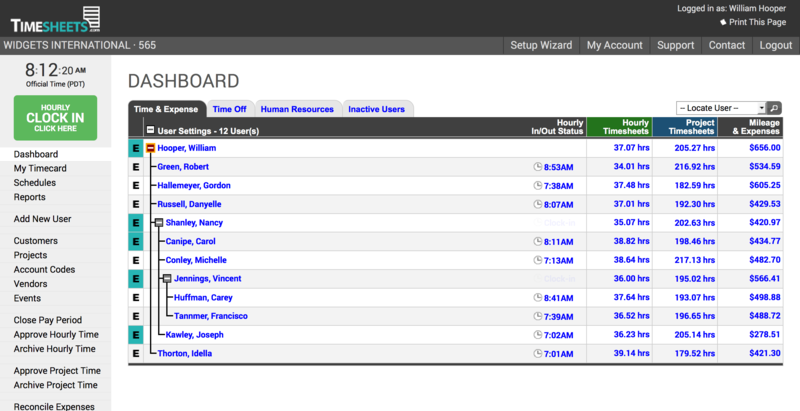 With this cloud-based time tracking every manager can have a detailed insight into people’s work. Of course, not to spy on them but to enhance their productivity and improve team’s efficacy. Hourly time clock – timesheet for employees working on an hourly basis. Tracking time in the real time. 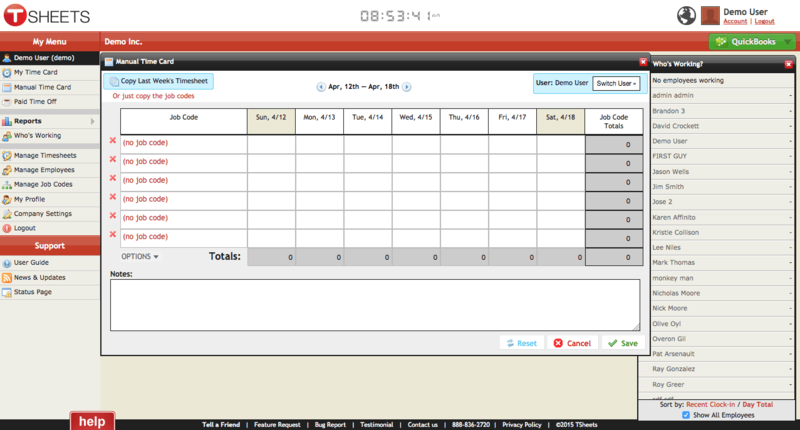 Billable time tracking and payroll management in one place. Employee documentation and audit track give you a complete and accurate history of records. “Create project scope, assign work to your team, record work hours and keep everything on track with the insightful data,” says actiTIME’s website. Let’s elaborate on that a little. actiTIME is particularly useful in creating and managing a project scope. You can assign different tasks to different people, measure time your team spends on activities related to work. Also, you can adjust features and their visibility according to your needs. All that to have insight into projects’ progress and keeping track of work. As simple as that. 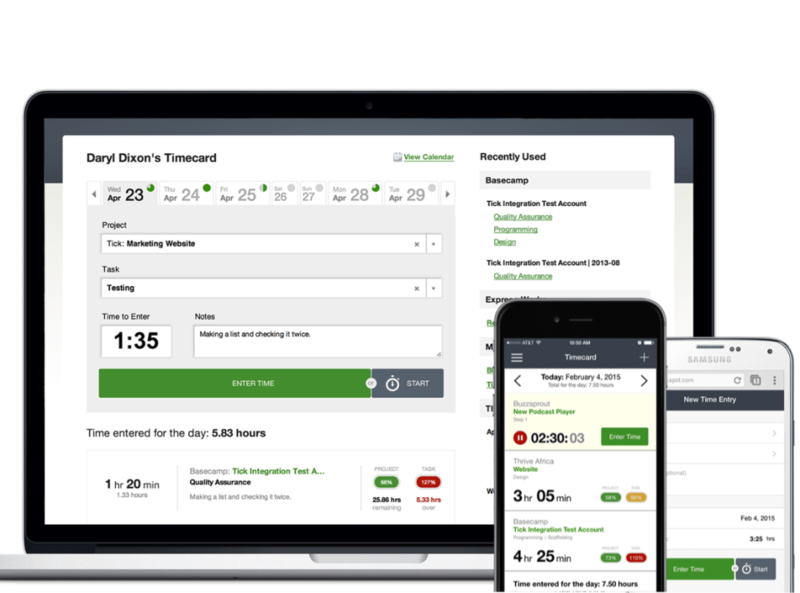 Available in mobile, desktop, and cloud version, Tick is another of the best free time tracking software with high ratings from happy customers. Even though it may seem to be a typical time tracking software, Tick’s creators took care to make its features comprehensive. 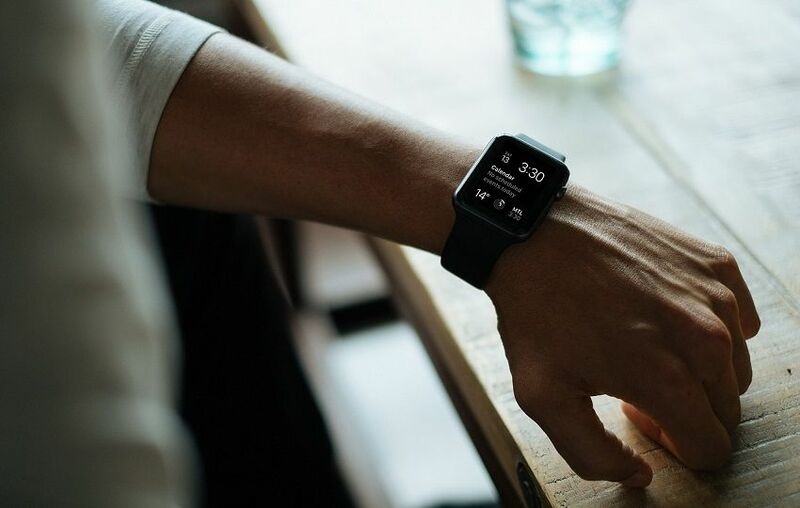 Tick allows to track time from anywhere, on any type of device: desktop, laptop, smartphone, or Apple watch, with apps for Mac, iPhone, and Android, and a web extension for Google Chrome. You can create multiple projects and tasks and track time on all of them. 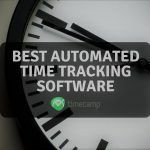 Number 10 on our best free time tracking software list, DeskTime helps in boosting productivity to help you and your team achieve better outcomes. The app gives you information about employees’ work. You get a full report on their activities, hours spent on work as well as money spent on projects. Additionally, DeskTime allows you to see detailed reports on the company’s progress taking into account all your team’s workflow. The app tracks URL’s and apps, offline time, and is fully automatic.